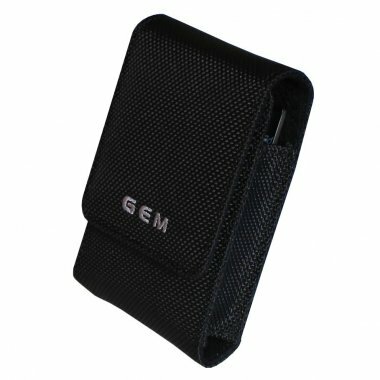 Protect your camera with GEM's robust materials. When choosing your camera, one of your requirements was probably that it should be compact, and could fit in your pocket without the need for bundles of accessories. The Quickdraw Slim has been designed with this in mind. After all, what is the point in having a compact camera with a bulky case. Your camera will need to be well protected too, as sharp keys and coins can scratch your camera. To prevent this, we have provided light padding backed with PE board armour, maximising the protection given to your camera. Never miss a shot again! You wait for that all important shot, you fumble for your camera, and in a flash the moment has passed. With its Quickdraw top-loading feature, your camera is now easier to access than ever before. Missing that moment is a thing of the past with GEM. And the magnetic fastener helps to keep your camera safe and secure. To easily access your camera, this case can be attached to your belt. If you are not wearing a belt, this is not a problem. 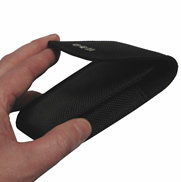 The case is so compact that it will fit in your pocket, still allowing you quick, easy access.. Anonymous December 12 Delivery was on time. 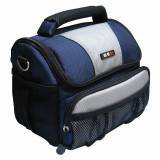 Product was good and was much appreciated by recipient. Thanks. R. - Glos September 13 Arrived quickly. Does the job perfectly, for my money - slim and unobtrusive yet good, snug, protection. 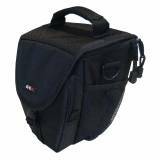 GEM Ultra Compact 531 Camera Case featuring a slimline design. 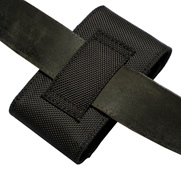 Easy access to your camera whilst on your belt or in your pocket.